Well it's been almost one week since the blizzard or as it was named, NEMO. What is up with the naming of winter storms? 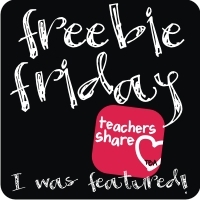 So,we had Manic Monday at Classroom Freebies and today it's Friday Freebies at Teaching Blog Addict! Yay! 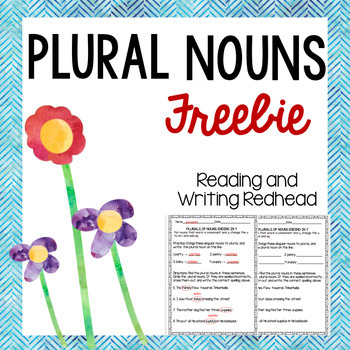 Enjoy this FREEBIE Plural Noun activity. You can click HERE or on the image to get it from my Teachers Pay Teachers store. And be sure to head over to Teaching Blog Addict and Classroom Freebies for all of the rest by clicking the button below! I couldn't get the link to work, so will try on my laptop. Thanks for sharing! Diane and Laureen, I hope the link works now! Sorry about that! Thank you for linking up this week at Classroom Freebie's Manic Monday'! I always look forward to reading your blog. You are so welcome, Fern! Thanks for hosting it. You are so wonderful to do it! Thanks for sharing at Manic Monday! The worksheet looks great!